Please contact me regarding the 2015 Utility Reefer - Stock# 85576 for sale at TruckerToTrucker.com. Take a look at this 2015 Utility Reefer. It is Stock# 85576 at TruckerToTrucker.com. 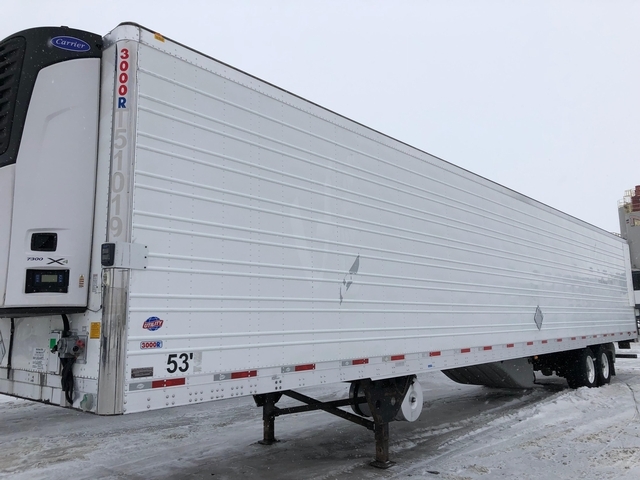 2015 UTILITY 53' REEFER WITH CARRIER 7300. STAINLESS STEEL DIAMOND PATTERN DOORS WITH STAINLESS REAR VENT. REAR DOOR WEARBANDS. TALL 16" SCUFF LINER. ALUMINUM WHEELS. TIRE INFALTION SYSTEM. SMARTTRUCK AERO SYSTEM.